SpaceX's massive new spacecraft successfully tested its rocket engine for the first time Wednesday. 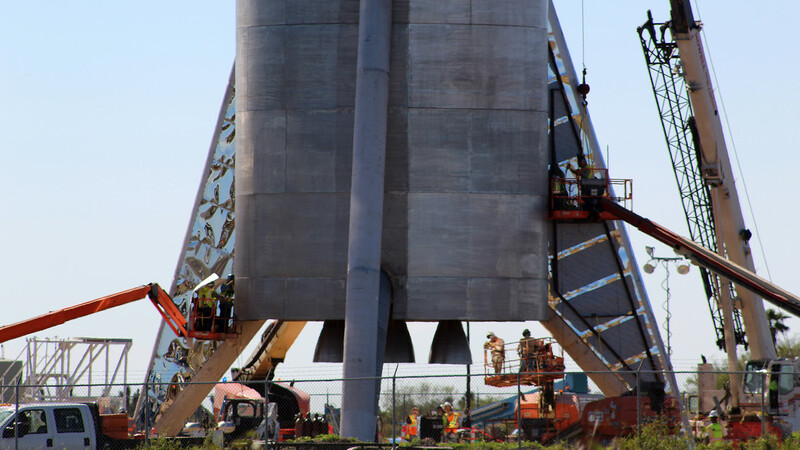 The "jumper" version of the Starship rocket – called Starhopper – did not leave the ground, but the powerful Raptor engine was fired shortly attached to the ground at the SpaceX plant in southern Texas. "Starhopper finished tethered hop. All systems green," SpaceX Chief Executive Elon Musk tweeted Wednesday night. Musk delivered the good news shortly after his second company, Tesla Inc.
reported some bad news – first quarter deliveries that dropped far below analysts' expectations. The reusable Starship rocket, which has angled pig fins as something out of a cartoon, can carry up to 100 people and is intended for missions to the moon, and later, Mars – and back. More tethered and suborbital tests are expected this year, and Musk has said Starship could take its first orbital flight by 2020.